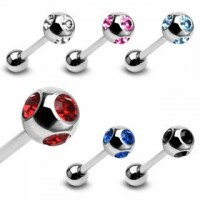 Great quality surgical steel 90 degree staple surface barbells with double gem balls. 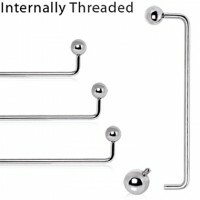 Various of gauge, length, ball sizes and crystal colors are available for vary choice. 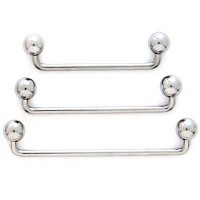 Great quality 90 degree surgical steel ball staple surface barbells polished to a mirror finish. 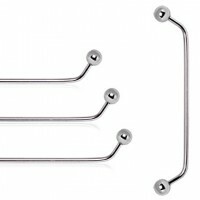 Various of gauge, length, ball sizes are available for vary choice. 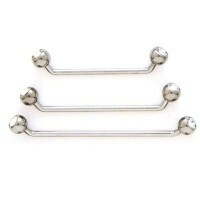 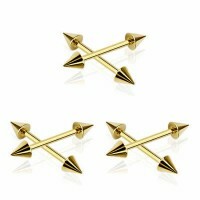 Great quality gold plated surgical steel externally threaded ball straight barbells. 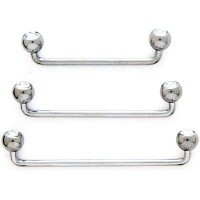 Various of gauge, length, ball sizes are available for vary choice. 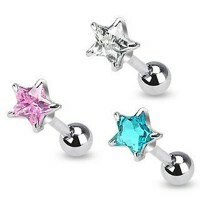 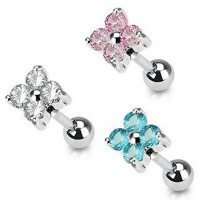 Great quality high polish surgical steel externally threaded straight barbell with prong set star CZ. 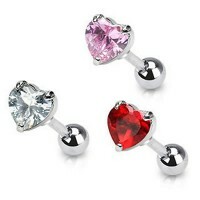 Various of gauge, length, CZ colors, ball/CZ sizes are available for vary choice.